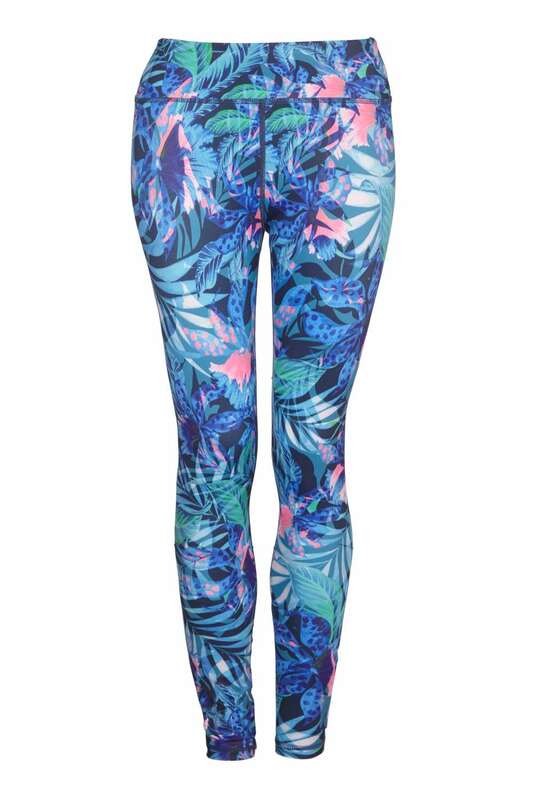 Yogaleggs Tropical yoga pants are functional and on trend fitness leggings. Made of high quality, breathable, moisture-wicking, antibacterial fabric with compression components designed to keep you cool and dry throughout your workout and perfect to take you from day to night. I wore these leggings in the gym and put them through their paces with some fast cycling and weights, including lots of squatting. They are very light and comfortable to wear even when sweating and they stayed in place throughout. Definitely brightened up the gym on a dark, wet day! Absolutely love these leggings! They are the newest to my collection. Such lovely colours and print for summer and as usual an excellent fit and so comfortable! I bought these for gym workouts rather than yoga and they’re excellent. They hold me in, stay in place, are squat-proof and most importantly, they make me happy on a dark cold morning when I’ve got a pre-work class.